I don't have the time today, on such a short 'erev shabbath and all, but I am staking here in this post my intention to recognize that in fact R. Keller does raise some perfectly valid critiques of the Hertz Chumash. In fact, I have been critical of it myself although you need to dig through comments to find it. So in the spirit of the title of this post I will fill this space with a more comprehensive critique of that chumash when I get the chance, but I will also laud what I think should be lauded. In addition, I will post the rest of the three-part article by R. Keller, but that will be another post. 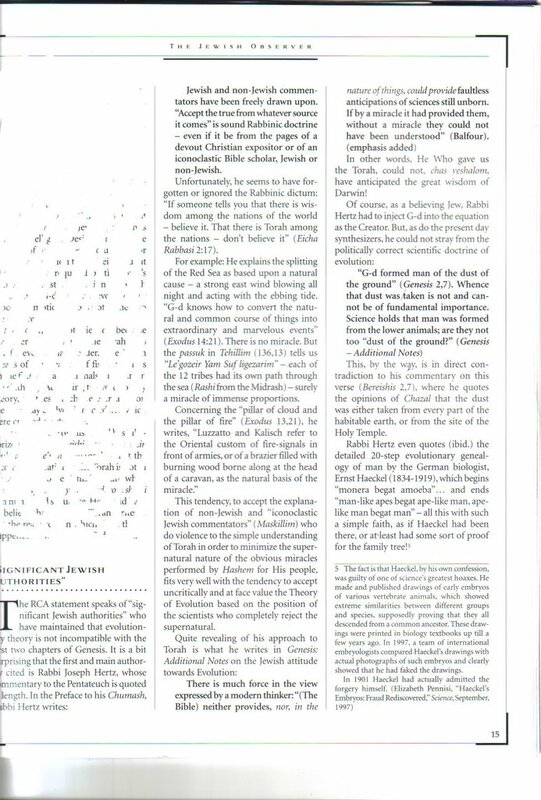 Jewish Observer targets Hertz Chumash, Shadal &c.
This month's Jewish Observer features a symposium on "The Cosmic Question: Random Evolution or an Intelligent Designer," which features a three-part article by Telshe Chicago rosh yeshiva R. Chaim Dov Keller. 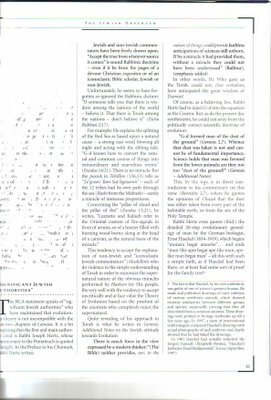 In it he damns discusses the Hertz Chumash, taking on the idea of שמע האמת ממי שאמרה because R. Keller interprets תורה בגוים אל תאמין differently than the rishonim do. He also bites off quite a bit to chew in dismissing Shadal, among others, as "an 'iconoclastic Jewish commentator[s]' (Maskillim) who do violence to the simple understanding of Torah in order to minimize the supernatural nature of the obvious miracles performed by Hashem for His people." 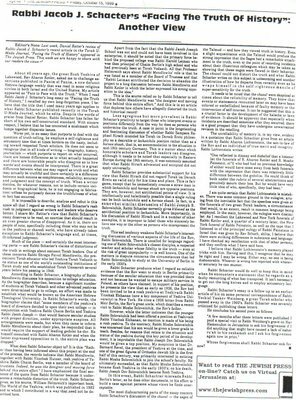 This isn't a great scan, but then, it isn't a great attack on the beleaguered and admittedly dated (but heroic) Hertz Chumash. The editor of Jewish Observer, R. Nosson Wolpin, has a close relationship with Artscroll, a competing enterprise which partly succeeded in burying the Hertz but I sincerely believe the Jewish Observer would put the Hertz Chumash into its sights even if he did not have anything to do with Artscroll. PS there is substance of the critique I agree with. I mean, I do not think that an eclipse in New York City in the 1925 (pg. 251) really offers much insight into makat choshech, for example. 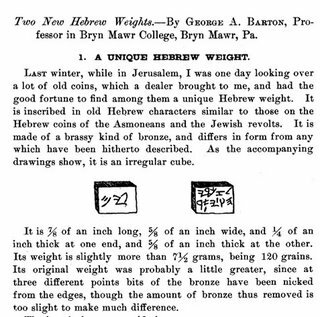 Here is an interesting article by Aaron Ember, professor of Egytptology at Johns Hopkins University called 'Pronunciation of Hebrew among the Russian Jews,' from 1903 (The American Journal of Semitic Languages and Literatures, Vol. 19, No. 4. (Jul., 1903), pp. 233-234). It doesn't say if he travelled in Russia, but it seems like he must have. There is really nothing in it that most readers will not already know, but its fun to read. It notes what is familiar as the classic 'Litvishe havara,' for example, reading a holem as ei and pronouncing both shin and sin as samekh. Gesenius's Grammar is many things, but on this point it is mistaken, but in 1903 it was still an important authority on Hebrew. In the beis midrash at the Yeshiva of Staten Island, boys and young men were fervently reciting tehillim, imploring Hashem to spare him. At 9:50 p.m. the light fixture over his seat near the Aron HaKodesh flickered and went out. Then it glowed for a moment and went out again. Reb Moshe was gone and the light went dark. A[nother reliable person] was a bachur in MTJ at that time. The Mashgiach called him out of the Tehillim group and told him that Rav Moshe had just passed on and that he should go to the basement and pull the fuse that powered the lamp over the shtender (which apparently was on a different fuse than the lights in the Beis Medrash) as a way to break the news to the Talmidim gently. [He] did so. At On the Main Line I once posted about Judah Monis's Hebrew text book which he titled 'Dickdook Leshon Gnebreet,' using an interesting variation of the Italian pronunciation of the Hebrew 'ayin. I can't resist the opportunity to post his tombstone. They sure don't make 'em like they used to! 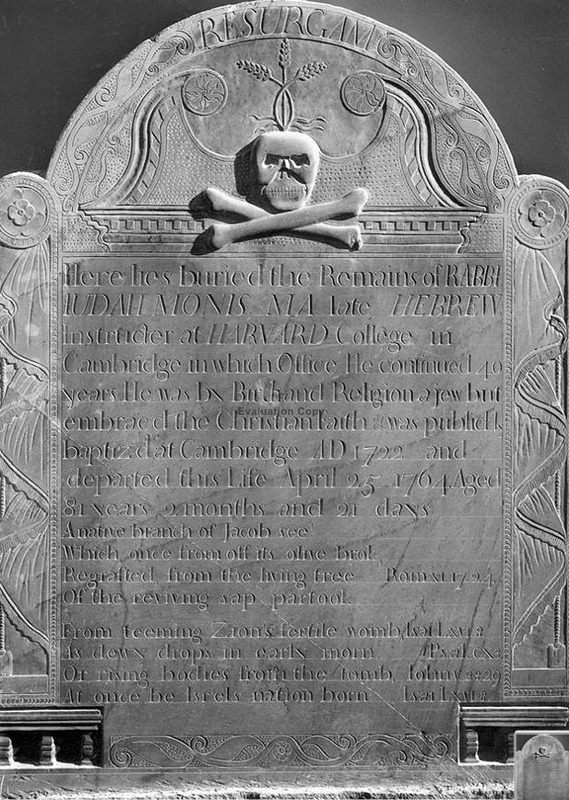 Here lies buried the Remains of RABBI JUDAH MONIS, MA late Hebrew Instructor at HARVARD College in Cambridge in which Office Hecontinued 40 years. He was by Birth and Religion a jew but embraced the Christian Faith ? was publiclly baptized at Cambridge AD 1722 and departed this Life April 25 1764 Aged 81 years, 2 months and 21 days. and then followed quotes from Isaiah, Psalms and Iohn. 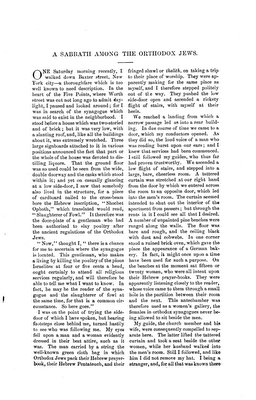 I came across this interesting article called 'A Sabbath Among The Orthodox Jews' by a W.M.R. which appeared in a periodical called The Galaxy in 1872 (Volume 14, Issue 3, September 1872). The Galaxy was the precursor to the Atlantic Monthly, which began where it left off in 1878. W.M.R. is Jewish--he got an aliyah, giving his name as Moses bar Samuel, although he declined to daven mussaph, having "to confess, humiliating though it was, that to do this second thing was utterly beyond my powers". Unfortunately he doesn't share his background, and it isn't even clear that he is Jewish until well into the article. It is obvious that this synagogue experience among Orthodox Russian immigrants was as foreign to him as a Friday morning in a mosque would be for me. He also said that he understood Hebrew--better, he thought, than probably most of the people in the shul. You can download the entire article as a PDF here. What's a pim? I pontificate about pims but try to not to pontificate polemically. 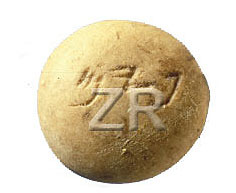 Once upon a time ancient stones inscribed ZR were found in--no, wait. That's not right. That's a copyright watermark on this image, which comes from this interesting web site. "They [that is, the Karaites] are unaware of the fact that they have come to know the sense of these words only from what I have adduced as proof and thus revealed their meaning from the Mishnah." What Rav Saadya wrote is true, but not every lonely word in Tanakh is explained in rabbinic literature nor does it seem to have been maintained orally. Nevertheless, there are options for when this occurs. Clues such as context and the possible etymology of the word may give us the true meaning. When this occurs, the meforshim do precisely this. Many biblical hapaxes were deciphered by the meforshim in this way. Sometimes modern scholarship is able to give us the meaning of a hapax with a high degree of probability. A very neat example where this occurred and it is probably so close to certain as to be simply true is on 1 Sam. xiii 21, which contains one hapax in particular that remained obscure for a long time. Chazal never mentioned it, R. Saadya didn't mention it. Rashi and the Radaq do, as we will see. But archaeology seems to have nailed it. The background is the oppression the Pelishtim subjected the Benei Yisrael to. The Pelishtim seemed to have controlled the iron smithing market and as a consequence only Sha'ul and Yehonathan had swords and spears! Everyone else had farming tools: axes and the like. Since there were no smiths in Israel, they would go to the Pelishtim to sharpen their farming tools. כ וַיֵּרְדוּ כָל-יִשְׂרָאֵל, הַפְּלִשְׁתִּים--לִלְטוֹשׁ אִישׁ אֶת-מַחֲרַשְׁתּוֹ וְאֶת-אֵתוֹ, וְאֶת-קַרְדֻּמּוֹ, וְאֵת, מַחֲרֵשָׁתוֹ. 20 but all the Israelites went down to the Philistines, to sharpen every man his plowshare, and his coulter, and his axe, and his mattock. כא וְהָיְתָה הַפְּצִירָה פִים, לַמַּחֲרֵשֹׁת וְלָאֵתִים, וְלִשְׁלֹשׁ קִלְּשׁוֹן, וּלְהַקַּרְדֻּמִּים; וּלְהַצִּיב, הַדָּרְבָן. 21 And the price of the filing was a pim for the mattocks, and for the coulters, and for the forks with three teeth, and for the axes; and to set the goads. כב וְהָיָה, בְּיוֹם מִלְחֶמֶת, וְלֹא נִמְצָא חֶרֶב וַחֲנִית בְּיַד כָּל-הָעָם, אֲשֶׁר אֶת-שָׁאוּל וְאֶת-יוֹנָתָן; וַתִּמָּצֵא לְשָׁאוּל, וּלְיוֹנָתָן בְּנוֹ. 22 So it came to pass in the day of battle, that there was neither sword nor spear found in the hand of any of the people that were with Saul and Jonathan; but with Saul and with Jonathan his son was there found. As you can see, there are three words highlighted in red in verse 21 and a large blank part in the English side (although really I simply made the text white. You can easily read what I don't want to be read yet by highlighting it). The words וְהָיְתָה הַפְּצִירָה are not difficult to translate, except for what comes afterwards: פִים. In any case, by the time the early 17th century rolled around, English translators of the Bible were looking at Rashi and the Radaq and the King James Version produced this: "Yet they had a file for the mattocks, and for the coulters, and for the forks, and for the axes, and to sharpen the goads." In other words, וְהָיְתָה הַפְּצִירָה פִים was rendered as Yet they had a file in English (I think the earlier Tyndale also translated this way, but I wasn't able to check). This translation sufficed for a very long time, and in some circles still suffices, although it was recognized that the meaning of פִים still could not have been said to be certain, there were grammatical issues with its derivation. The article continued to discuss what the three letters visible on the left say and what they mean. He readily identifies two of the letters as י and מ but has a little trouble with the third (actually, first) letter. He thinks it might be a פ but that it also mean be a ג given its similarity with some Hasmonean era examples of paleo-Hebrew גs. He thinks it may be an abbreviation, and speculates about that. Maybe it stands for גרה י למלך ten royal gerahs. He then explores whether it is a פ, but unfortunately still assumes that its an abbreviation. A lot of great pilpul can come from a faulty original assumption, so Barton's surmise that it may stand for לפי משקל is tasty, but it apparently didn't occur to him to dwell on the weight of the weight or on whether there isn't some instance of פים somewhere that might be of assistance. Even worse, he ends by assuming that it being a ג is more likely since he would rather know that this is a gerah weight. Ten years later E. J. Pilcher published an article in Palestine Eploration Fund Quarterly Statement called "A New Hebrew Weight," on the very same matter. Pilcher quotes someone called Samuel Raffaeli who owned such a weight and suggested that this weight was a!פים! 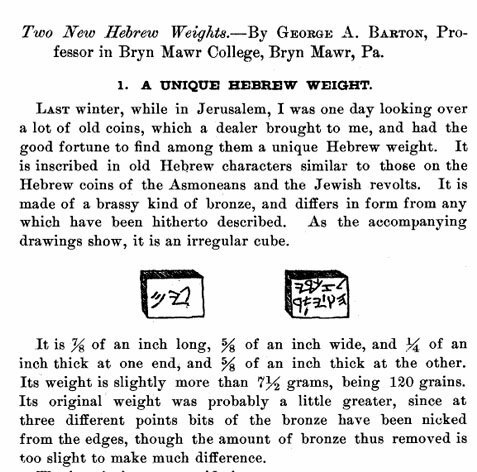 The weights were since weighed, compared, contrasted, speculated and thought over until it was realized that this weight was in fact equal to 2/3rd of a sheqel. You see, there were weights weighing (and marked) sheqel found to compare it to. In ancient Israel, when you wanted to pay someone a sheqel you could take gold and a one sheqel weight and put them on scales. When you wanted to pay a half sheqel you could do the same. And when you wanted to pay 2/3rd of a sheqel, you wanted to pay a pim. And that, it seems, is exactly what verse 21 of 1 Sam. xiii is saying. The Benei Yisrael had to bring their tools to Pelishtim for sharpening and they had to pay a fee which amounted to one pim. In light of this, some new translations of Tanakh say something like "and the price of the filing was a pim for the mattocks," which is what the new version of the JPS does, neatly incorporating the old (filing) with the new (price...was a pim). What I will not got into here is whether or not the original biblical vocalization of פים was payyim, given that in biblical times matres lectionis were rarely or scarcely used, which would mean that a biblical-era artifact marked פים would probably be spelled פיים today, since if it had been pronounced פים it would probably have been spelled פם. Nearly all examples of biblical-era Hebrew are written haser, so the י here just might be a consonant rather than a vowel. It would seem almost certain that we now know what a pim is. 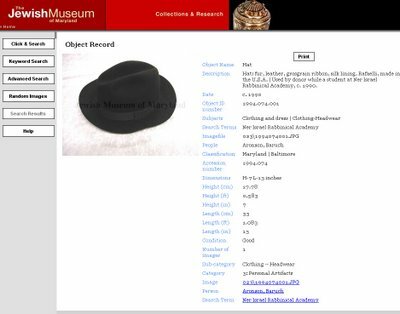 In this post I discussed how Ramban used what we would today consider an archaeological finding in aiding his own understanding of Torah (in this case, how much a sheqel weighed). An interesting outgrowth of this finding is that we now know that the root פה relates to thirds and this might give us a new understanding of the biblical expression פי שנים, the double portion due firstborn sons. For more, an interesting lecture by R. Yitz Etshalom can be heard on the OU's website. Should new translations use this? Following the example of the Ramban, I believe they should--or at least they should use be as willing to use this finding (which is sort of old news by now) as much as the exact language of the King James Version, even though it is based on Rashi and Radaq. A Tanakh by a publishing house which shall not be named yet naturally eschews any reference to this topic and translates ala Rashi/ Radaq via KJV. But a post about it will be forthcoming. Note in advance: it is very, very difficult to fault a translator for using Rashi. Nevertheless, one must remember that Rashi used his best abilities to arrive at an enduring translation of a very difficult word. It is his example that we need to continue to follow. It is from Talmud Yerushalmi Maaser Sheni 5b. According to the notes accompanying this image, "Rabbi Elijah has excised a phrase (lines 13-14) then rearranged the phrasing and reinserted the emended text at the point (line 16) marked by three dots in a triangular shape." The margin contains notes explicating the passage. Although the tect doesn't mention it, there is another excision on the second to last line marked by parantheses, which means it should be moved. Then there is line above the word נטמאו, which means that it should be removed, as well as another line over other words which should be removed. 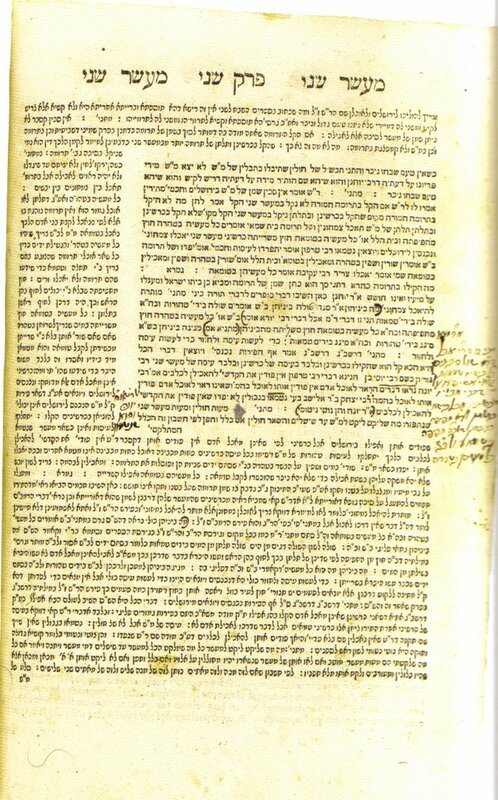 This image comes from the book which accompanied the Yeshiva Univerity Museum's exhibit on printed Talmuds. Are all gedolim stories praiseworthy? Jewish Student relates a story someone said about the Satmar Rav. It was intended in praise of him, to be inspirational. Last August I posted about someone telling me something about the Klausenberger Rebbe that seemed out of character for him to me, so I didn't believe it. In general the phenomenon of repeating stories meant to be in praise but which are really the opposite is interesting. It apparently rests on the assumption that by definition if the subject said or did it then it is a praiseworthy action rather than an example, perhaps, of where a great person acted or said something unbecoming. This reminds me of an interesting book I bought as a bahur about Rashi. It listed all the legends about Rashi (his father and the jewel, Rashi's prediction of Godfrey de Bouillon's returning from the Crusade etc.) and basically traced them and tried to assess whether they were true. One thing stood out: it repeated the legend of Rashi's father sweeping the floor of a bet ha-qenesset with his long beard and it dismissed this because it is just, well, wacked. In fact, this legend (which I also heard--it is one of the stories repeated) is not about Rashi's father but a rebbe of Rashi, R. Yaakov ben Yakar and is in Sepher Hassidim. where it said that he would sweep the area in front of the aron ha-qodesh with his beard. 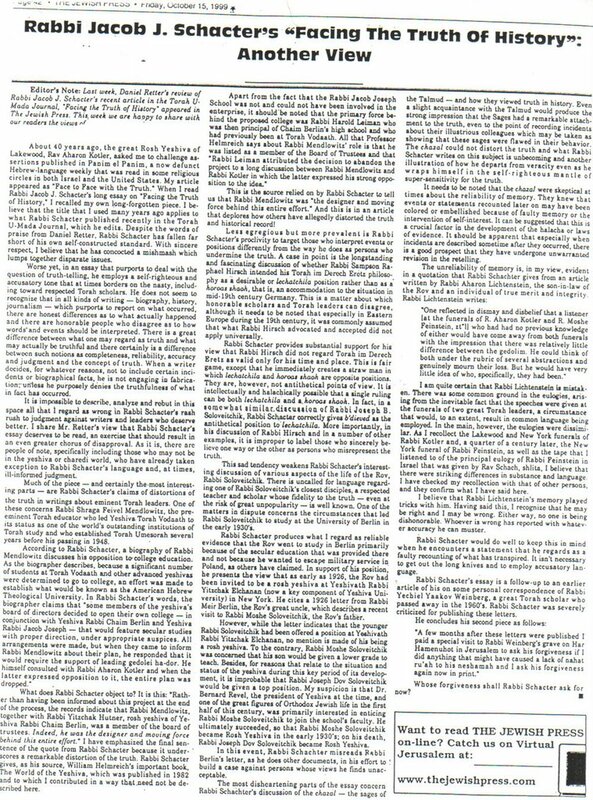 The Lonely Man of Mechqar occasionally posts and comments on letters to the editor in Yated. The Chovevei Torah seminary teaches their students about creatures called “Stammaim.” Who are the Stammaim? They are a mythical generation in the mesorah created by Dr. David Weiss HaLivni. He maintains that they wrote a flawed text of the Gemara because they misunderstood the Tannaim and Amoraim! The letter writer then goes on to extensivly quote from Wikipedia's entry on David Weiss Halivni ("Here is how an Internet encyclopedia describes it:..."). In addition, Drew Kaplan points out that this letter lifts verbatim from one of his posts. As mentioned last year, Samuel Heilman's book Sliding to the Right: The Contest for the Future of American Jewish Orthodoxy has now been released. An interview with the author can be heard here. I was thinking about whether I should, on occasion, repost some old posts. Why? Because the best part of blogging is what goes on in the comments. It is a fact--I think--that how a post is received depends a lot on mazal as well as content. If one posts at certain times of the day then when it is added to J-blog aggregators like jrants can influence how many people will happen upon a post. The more people reading, the more chance someone will comment, which in turn provides the impetus for more comments and, hopefully, a fruitful discussion. And I'm all about fruitful and multiplying discussions! Also, which part of the week or which part of the year posts are made seems to influence their reception. Want to kill a post? Put it up 20 minutes before a three day yom tov, especially if its timely. So I was thinking of reposting some golden oldies. Maybe once a week, or less. Think of it as my own "From the Pages of Tradition." Is there something wrong with this idea? A copout? An excessive ego stroke? Smart business? It is from the 1765 census list of Vilna showing the Vilna Gaon (Eliasz Zelmanowicz, wife Chana, son Zelman, daughter Basia, and servant Nechama). This page has more census records, including one from 1784 and one from 1795, listing his second wife Gitel. I hope I am not insulting my erudite readers by pointing out that Zelmanowicz was not his true surname, but rather means "son of Zalman." I see that textual issues in Tanakh are an interest of a small, but persistent group of people. It is certainly an interest of mine. It continues all the way to the last letter, tavh, but skips the verse which ought to begin with nun. Rendered back into Hebrew, it is obvious that the verse would begin with ne'eman adonay..., that is, the missing nun. Where did this come from? Did someone add it? Or is it the original line? As it turns out, at Qumran a Hebrew version of tehillim, Psalms, was found (11QPs-a) which contains a nun verse--in Hebrew--a version pretty close, but not identical, with the Septuagint verse. In fact, it read ne'eman adonay be-khol derakhav ve-hasid be-khol ma'asav, which is to say, the exact same as the tsade verse, tsadik adonay be-khol derakhav ve-hasid be-khol ma'asav, except for the first word. This version is close to the LXX, excepting that the LXX reads "holy" for hasid, "gracious," in the Qumran text--which, by the way, isn't a Psalm scroll per se, but appears to be a text for liturgical use. Thus, it is clear that there was a Hebrew version of this psalm with a nun verse in antiquity. The question is, is it original? Why is there no nun in Ashre? Because the fall of Israel's enemies begins with it. For it is written: Fallen is the virgin of Israel, she shall no more rise. (In the West this verse is thus interpreted: She is fallen, but she shall no more fall. Rise, O virgin of Israel). R. Nahman b. Isaac says: Even so, David refers to it by inspiration and promises them an uplifting. For it is written: The Lord upholdeth all that fall. In other words, a reference to a fall is missing, but the responsive verse "The Lord upholdeth all that fall..." is not. Why would it be missing, apart from an error? ...I read W.H. Auden's "Atlantis." The poem, comprising seven twelve-line stanzas, which exhibit a complicated pattern of rhyme and meter, describes the effort and resourcefulness required to reach the mythical islan of Atlantis. The voyage culminates in a scene where the traveler, having overcome many ordeals, collapses: "With all Atlantis shining/ Below you yet you cannot/ Descend." At this precise point in the poem, the rigid pattern is violated: line 7 of stanza 6 does not exist. The explanation seems obvious: the poet's "failure" to fully satisfy the complicated technical feat he has undertaken parallels the failure of the poem's protagonist to consummate his journey. The intertwining of form and content in the work of a twentieth-century master craftsman renders more persuasive the notion of a similar phenomenon in the psalm. In plain English, R. Carmy discovered quite by accident a poem which omits something deliberately for poetic effect. Given that, he feels that this might shed some light on whether a verse could indeed be deliberately excluded from a psalm. But what of the Septuagint version? What of the Qumran version? Maybe they are authentic. Or maybe they were interpolated. Why might they have been added in place of a missing verse? For one thing, it essentially duplicates the tsade verse, as mentioned above. That certainly needs to be explained! On the other hand, verses 1 and 2 come close to duplicating each other as well, since both end with shimkha le-'olam va-'ed. Secondly, it might violate the pattern in ashrei in which the verses use parallelism. Thus, the first verse begins with bless and ends with praise. The second begins with great and replies with greatness. The tsade verse begins with righteous and replies with gracious. If the nun verse really read as it did in these versions then we are talking about it beginning with faithful and replying with gracious or holy. Is that a possible parallelism? I suppose, but it would seem to be less "even" then the others, certainly the LXX reading of faithful > holy. At least that's my tentative opinion. But there is more, because the verses also form couplets. The first one begins with extolling and continues with praising. The third deals with God's greatness and the fourth mentions lauding God. From the 13th verse to the missing 14th we'd be dealing with God's enduring kingdom and then God being faithful, which doesn't follow the pattern. Of course, neither does the present 14th verse about upholding the fallen match the 13th, God's enduring kingdom--but neither would the suggestion by R. Yohannan, that it pertains to falling, which is an missing intro to our present verse 14. All in all, I don't think we are closer to a sure resolution. I am not at all convinced that the LXX or Qumran version didn't insert that which was already missing. The question of whether there is a sort of poetic effect with this verse missing needs further exploration. In any case, I don't believe we've yet got a clear picture of whether this verse had a nun originally or was written with it missing originally. Nevertheless, it is clear that R. Yohannan had good ground for his suggestion, not that he needed my endorsement! The only question is whether this is really peshat. This made me think of this at this particular point. That, and that I'm currently working on a study of what's going on with Yehoshua bin Nun. (Get it? Nun. Yuk, yuk.) So stay tuned. I am not about to present a biography but just was intrigued about a minor point. Although printed books of Jewish subjects were available at the time, it was still the practice for individuals to copy Seforim by hand. It was an exercise in calligraphy especially for the young, but even more important, it helped people memorize and familiarize themselves thoroughly with a Sefer. I wonder if such a practice would be reintroduced in our Yeshivos, whether we would get more knowledgeable grown ups. I've got to say that I don't quite get the potential advantage. I am not sure that copying texts is beneficial except for aiding in penmanship. Many copyists were hardly aware of what they were copying. Some of the best Christian scribes are said to have been unable to even read! 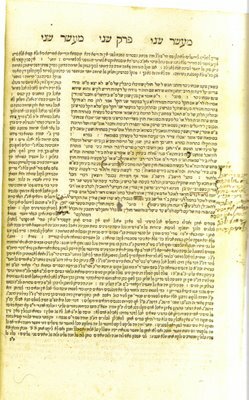 Without rules as in writing a sepher Torah, in which mechanisms are in place so that the scribe maintains awareness for what he is writing (and even then, only the particular word and individual letters being copied), it seems unlikely that copying Gemaras or whatever would accomplish anything. I'm afraid I think it would be a terrible bittul zeman. Description Hat: fur, leather, grosgrain ribbon, silk lining. Rafaelli, made in the U.S.A. | Used by donor while a student at Ner Israel Rabbinical Academy, c. 1990. Tzemach Atlas had a post about Rastafarianism: Haile Selassie Tafari the Lion of Judah. Ethiopian Emperor Haile Selassie (1892-1975) is the object of worship of this unusual religion. For fans of Semitic languages: the title "Haile Selassie" is an Amharic term which means "The Power of the Trinity," and is cognate with the Hebrew חיל השלושה. The following interesting thing was brought to my attention by a friend, concerning a famous, controversial Rashi text. "while Abraham remained standing before the Lord"
But is it not so that he [Avraham] did not go to stand before Him? Rather, it was G-d who came to him and said to him, "The wailing concerning Sedom and Amorah is so great," and it should have been written: "G-d was still standing near Avraham,"but, it is a tikkun soferim [an emendation of the Scribes) which our Sages of blessed memory reversed writing it thus. The background: In rabbinic literature there are references to tikkunei soferim, lit. emendations of the Scribes, in the Torah text. Most of these instances concern expressions which would be disrespectful to God. So there are tikkunei soferim, which employ euphemism (kinoy hakatuv). Thus, in this case, really God was "standing" before Abhraham, but the verse has it the other way out of respect for God. There are two views in classical Jewish sources for what tikkunei soferim mean. One is that the original reading is the euphemism and that no one ever tampered with these texts, deliberately altering them. The other is more literal to the meaning of the words and is that scribes actually changed these texts. We are talking about very slight alterations. Now it happens to be that not all Rashi texts have the part I highlighted with red, which is the more literal view of what tikkun soferim in rabbinic literature mean. 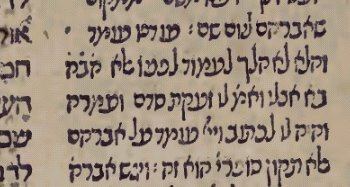 Thus, it is not inherently misleading to print a Rashi text without it, as does, e.g. the Stone Chumash. However, in a critical edition it doesn't make sense to exclude it. The Saperstein Rashi edition claims to include all alternate texts*. It does't include this one. My friend even wrote to the elucidator of this edition who claimed that he had never heard of the alternate girsa! Which seems unlikely, as it is very well known and the author of this edition happens to be very conscientous, using multiple sources which would have referenced this text. *Edit: a commenter pointed out that the Saperstein does not claim to do this. This is true. It was a slip of the keyboard on my part, a mistake. In addition, the idea that any edition claims to include "all alternate texts" is well nigh absurd, since such a task is well nigh impossible. Nevertheless, the main thrust of this post remains valid. This is a very well known variant reading of Rashi. It is highly unlikely, in my opinion, that the elucidator really never heard about it until my friend brought it to his attention. If so, it seems that there was an editorial decision to exclude this reading in this edition. In short, it is a well known variant reading in Rashi. The elucidator never heard of it? Most of you probably know this back story, but here it is again. In the Torah U-Madda Journal 7 Dr. Marc Shapiro published an article called Scholars and Friends: R' Yechiel Ya'akov Weinberg and Prof. Samuel Atlas. The piece included private correspondence between the Seridei Esh and his friend Prof. Samuel Atlas of Hebrew Union College. A lot of people were upset that this private correspondence was published, both because of what it was in itself: letters between a גדול and his friend who was a professor at a Reform university, but also because of the content of those letters. Of course other people felt that this is the truth, and the truth is not upsetting, but just true. In the next volume, TUM 8, journal editor R. Dr. J.J. Schachter publishd a piece called Facing the Truths of History in which he basically questioned his decision to publish Shapiro's article, but also defended it. He also recounted how he visited R. Weinberg's grave at Har Ha-menuchot to ask forgiveness in case he would have caused R. Weinberg pain. Obviously we cannot know what R. Weinberg would have wanted. Of course this article provoked a lot of conversation. It raised important points and counterpoints. What is important information and what is gossip? Is R. Hutner's love of opera at all relevent in a biographical sketch of him? Does it make him look bad? Maybe it makes him look good? Who gets to decide? What can be learned from it? His attitude towards culture? Kol isha? A personal 'failing'? Does a realistic portrayal of a good person necessarily entail making him or her look good all the time? What about lashon ha-ra? All these questions and more are important. Why do we need to know what Thomas Jefferson did with his slave girl? Are their good reasons? (yes) Do we need to know if he had a temper tantrum on an occasion? All important questions for biographers who must balance presenting as true a picture of the person as they can without assasinating their subjects character--unless obviously the subject is a lousy person. When Marc Shapiro published his bio of the Seridei Esh, it was really trashed in a review in Jewish Action by R. Berel Berkovits, chiefly on the grounds that a Godol's private correspondence doesn't represent aspects of their true self as much as their public statements and writings. An interesting opinion. Shapiro's response and R. Berkovits' reply can be found here. You can click on the picture or you can download it as a PDF if you like. I disagree with much of Dr. Schick's article, mainly because I think an article like 'Facing the Truths of History' is important--very important. But at the same time, he raises some good points, especially concerning memory. Will Brooklyn book stores carry R. Slifkin's new book? Wolfish Musings posts about how he surveyed a number of Brooklyn Jewish book stores to see if they are or will be stocking R. Natan Slifkin's new book Man and Beast. Of the four stores he checked, none had it and three said they wouldn't stock it, with the fourth being noncommital either way. Frankly this surprises me given some of the things found in Jewish book stores which would absolutely rile the banners of books. I really would have figured that a cost/ benefit analysis alone would have made these stores sure to stock this book. I mean, it could be principle but, you know, it isn't. Note also that some of the more moderate Slifkin-ban supporters have tried to point out (correctly) that the bans were on specific books of his, not on his person (although extremists have attacked him personally) and not on all of his books. Given that this is so, what possible justification can there be for refusing to stock this new book? Other than cowardice and/ or rishus, I mean.Well, maybe its political correctness. Or misguided principle? Oh well. Brick and mortar book stores are increasingly archaic anyway even thought they're much more fun than ordering online. I could "fisk" the following article, but it's too sad. What was once a serious critical analysis of the history of Lag Ba'Omer -- the author has now backpedaled on every single research point he raised and is now cowering from the wrath of the kannoim who have made his life a living hell. His entire post should be read, because it includes the article by R. Avraham Kosman, author of the original article in which he backpedals due to the enormous pressure he is under for writing an analysis of a text which was not politically correct. I feel bad for him and don't blame him for caving to pressure which I didn't feel myself. However, I have to say that there are ever more extreme positions to please. Why don't we all just pander to Neturei Karta or Lev Tahor? As for the content of the original article itself, at the time I thought that it isn't really nice to throw water on a custom times to coincide with the celebration. But neither is it nice to persecute someone for doing it, especially when all he intended to do was promote what he was sure is the truth. In fact its worse than not nice. To begin with, I am going to discuss how they pronounce Hebrew and a little bit about their alphabet, with future posts discussing their past, including four theories of origin, how Jews related to them in anquity (and what that might tell us about their origin), how they relate to them today, some more things about their alphabet and one of the most intriguing topics of all: their Torah. Before I get to pronunciation, I want to mention their name. "Samaritans," obviously, mean "residents of Samaria," with a little Anglo-Latin twist (like how "residents of Naples" are "Neopolitans"). In (Jewish) Hebrew they are called Shomronim, שומרונים, but they do refer to themselves as Shamarim, שמרים. In tribute to them, I spelled out "this is the Samaritan alphabet" in their own script, the paleo-Hebrew script for comparison (the font I used is derived from the Lachish letters) as well as the modern Hebrew (זה האלף-בית של השמרים) and I wrote שמרים instead of שומרונים as they would describe themselves. The difference is not inconsequential. שומרונים implies that they are or were residents of Samaria, while שמרים implies that they are watchers, observers--however that is to be understood. But that will be discussed in a future post. Samaritans have a unique dialect of Hebrew (although many or most Samaritans can speak Modern Israel Hebrew as well). They pronounce Hebrew consonants as well as vowels differently from the Jewish traditions. Some broad rules: they do not have two versions of בגדכפת letters. They pronounce all of them hard, with the exception of פ which is pronounced either as F or B. In addition, they do not pronounce the guttural letter אהחע, not dissimilar to how Ashkenazic Jews do not generally pronounce the א or ע. However, the Samaritans do not pronounce the ה or ח, both of which migrated to zero. Similar movement can be found among the French, who don't pronounce the H sound, or most modern Israelis who do not pronounce the ה. (Try it: ask an Israeli how they're doing, and wait to hear "Baruch Ashem!" I'm not sure what shibolleth to use for a non-religious Israeli though. Maybe "Ello!" The ו is usually pronounced W, but sometimes it is hardened to B. As for ש it is pronounced one way: SH, such that Samaritans call themselves Bani Yishrael. And interesting practical example of Samaritan pronunciation is how they voice the word לוחות, luhot: for them it is lebut, since the ח is not pronounced and the first ו is hardened to a B sound. An interesting feature of Samaritan Hebrew is their inability to pronounce certain unvoweled consonant clusters. Example: try to say the "RT" sound in "ART" without pronouncing ANY vowel before the RT. Can't do it. This phenomenon exists in abundance in many spoken dialects of Arabic. Thus, from the root bn we get ibn. From slam we get islam. Samaritan Hebrew evidently lacks the ability to voice some consonant clusters at the beginning of a word, so a vowel gets added. For a great example, listen to this: A Samaritan reading an Aramaic text. The fourth word, כתבה, illustrates exactly what I mean. (Be sure to follow along with the text while you listen here (I got the sound clip from Shai's blog, but I uploaded it to another server). More posts to follow, including some treatment on the vowels. The third issue of Hakirah: The Flatbush Journal of Jewish Law and Thought is out any day now. Hakirah editor David G. mentions that the full text of one of the articles is available online: Mezizah be-Peh— Therapeutic Touch or Hippocratic Vestige? by Shlomo Sprecher. It's been already mentioned here, here and here, yet it is worth linking to yet again here because the Hakirah Journal is something very positive and worthy coming from Flatbush, a place that gets little respect, although the journal is a positive and worthy contribution no matter where it came from.